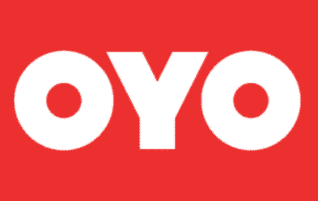 Oyo Offer: Get 5% Cashback Up to Rs 250 on Paying With Paytm, Oyo has come up with a new offer. Now OYO is offering flat 5% cashback up to Rs 250 when you make payment on OYO using your Paytm wallet. This offer is valid from 13th April 2019 (00:01 hrs) to 17th April 2019 (23:59 hrs). So follow below steps and avail this cashback offer. How To Get 5% Cashback Up to Rs 250 on Paying With Paytm? You can also download OYO app from google play store. Then proceed and initiate a room booking. Now select your room, date and other minor details. Now Proceed to payment and select Paytm. Complete your Payment with Paytm wallet. Get flat 5% Cashback up to Rs 250 on paying through Paytm Wallet balance on OYO app and web within the offer period. Maximum cash back is Rs.250. No Coupon Code is required. Valid once per user. Cashback will be auto-credited to your Paytm wallet within 24 hours. The mobile number needs to be verified to be eligible for cash back. Cashback will not be credited if paid by Paytm Postpaid. Cashback will be rolled back/canceled in case of returns/cancellations. Cashback will not be processed for non-KYC users. Please get your KYC done to receive cashback. Please ignore. Cashback not applicable if paid via Paytm Postpaid . Paytm and OYO reserves its absolute right to withdraw and/or alter any of the terms and conditions of the Offer at any time without prior notice. All escalations to be handled by OYO Customer Care Team and to be forwarded to Paytm Team for resolution.